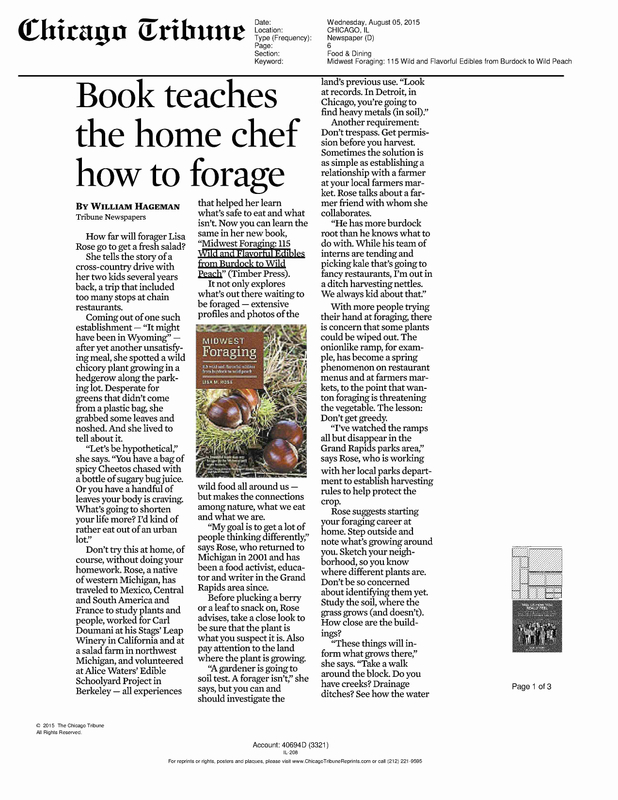 Book Review: Chicago Tribune, August 5, 2015. Click HERE. 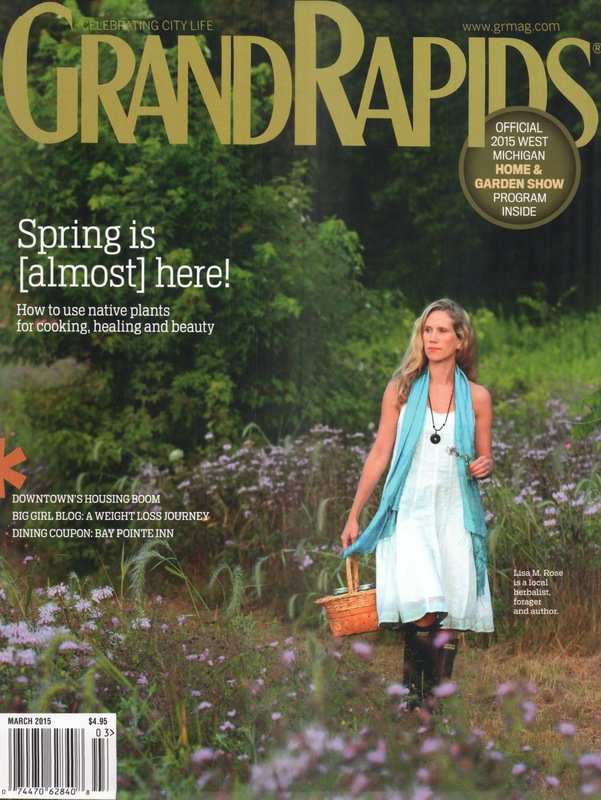 “How to plant and use native plants for cooking, healing, beauty and overall wellness.” ~ GR Magazine, March 2015. “Many people think of foraging as something that has to be done in wilderness, but Rose says there is potential all around us, saying she wants to “bring that level of awareness that nature is right out our front door, it’s not just exclusively at a nature center or at the farmer’s market.” NPR Michigan Radio. “Midwest Foraging” with Shelley Irwin, WGVU. July 15, 2015. “Summer Reading List for Foodies: A Michigan State University Librarian complies a list of insightful community food systems books.” ~~ Michigan State University. “Newly-released Grand Rapids Food: A Culinary Revolution by Lisa Rose Starner covers much more than foodie interests.” ~~ Wendy Leep Hammond, The Rapidian. MEDIA: Review Copies Available! Contact Lisa Rose for more info. How does a person contact you? I have a question regarding the facial cream with chaga.